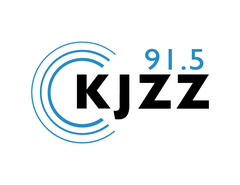 KJZZ 91.5 FM broadcasts news and information in Phoenix, Arizona. Red Sox outfielder Adam Hyzdu takes a tape recorder with him to spring training in Florida, giving us a glimpse into one player's experience during baseball camp. Baseball player Adam Hyzdu brings a tape recorder with him to spring training camp. The Arizona Diamondbacks have adopted a new autograph policy that benefits fans. Is the Clean Campaign movement making politicians more responsive?